CAT CAMERA illustration postcard 4"x6"
-------------------- CAT CAMERA -------------------- ￼The cat inside the camera. 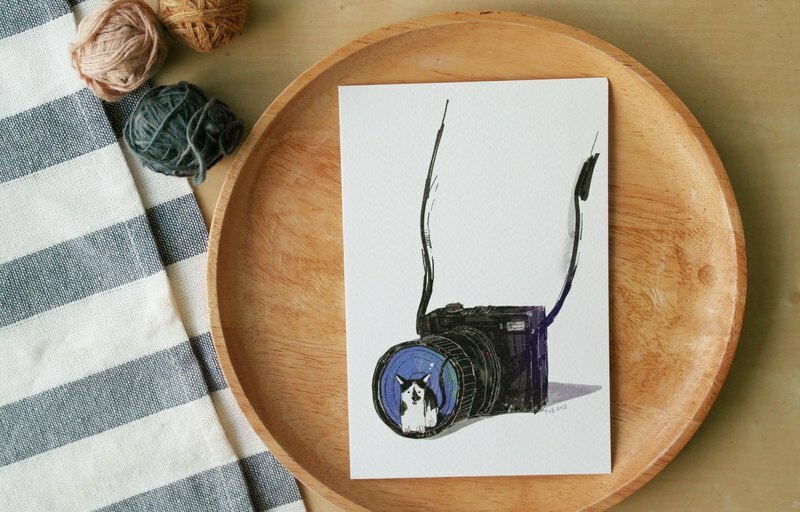 Go travel and capture the good memory, cute pet into the camera Illustration By Caliico. The Postcard measures 4" x 6" Digital print with Art card paper 300 gsm. One side print.